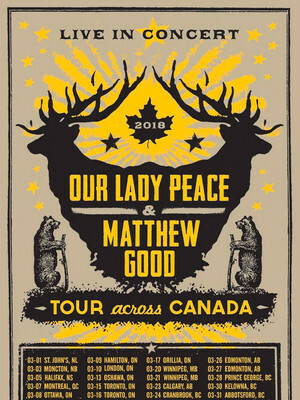 Why See Our Lady Peace and Matthew Good? After 5 long years of radio silence, Canadian alt-rock outfit Our Lady Peace is back with a vengeance. Having released Somethingness Vol 1. in August 2017 and with the release of Vol 2. on the horizon for 2018, the prolific quartet are hitting the road once more, touring across their home country with fellow rocker Matthew Good. One dollar from each ticket sold goes to War Child, a charity working with children in war-torn regions. Spending over two decades relentlessly touring the world, OLP have honed their live show to a fine art, combining fearless frontman Raine Maida's unique falsetto and poetic lyrics with hook-laden riffs and driving rhythms that encourage mosh pits and fists in the air. Make sure to wear some comfortable kicks and prepare to lend your lungs to a night you'll never forget! Sound good to you? 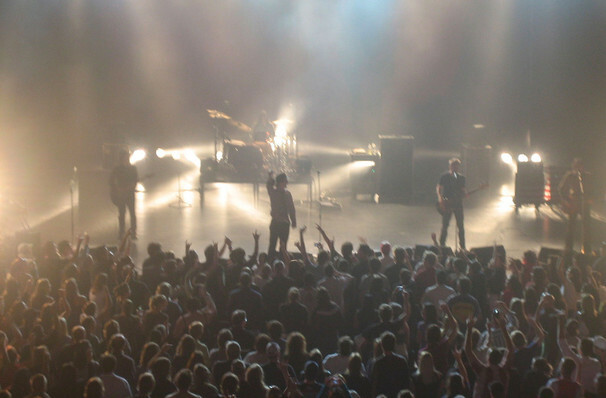 Share this page on social media and let your friends know about Our Lady Peace and Matthew Good at Sound Academy. Please note: All prices are listed in US Dollars (USD). The term Sound Academy and/or Our Lady Peace and Matthew Good as well as all associated graphics, logos, and/or other trademarks, tradenames or copyrights are the property of the Sound Academy and/or Our Lady Peace and Matthew Good and are used herein for factual descriptive purposes only. We are in no way associated with or authorized by the Sound Academy and/or Our Lady Peace and Matthew Good and neither that entity nor any of its affiliates have licensed or endorsed us to sell tickets, goods and or services in conjunction with their events.